This has been purrcast number 24 showcasing the purring of Pig. 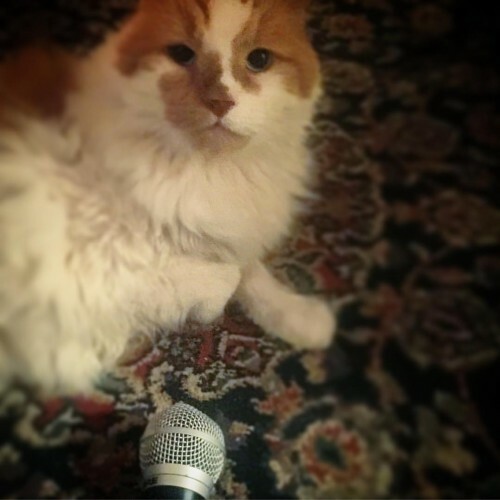 We would also like to give a meow out to the new cats in town The Purrrcast. The Purrrcast spelled with 3 R’s is a podcast about cats by the humans Sara Iyer and Steven Ray Morris. Every week they talk about cats with guest friends. Look for them where ever you get podcasts. If you like the cats purring, please consider patronage through patreon.com/purrcast. A few dollars a month buys many treats for the cats. The cats like treats and will purr making everyone happy. Do it for the kitties. Thank you for listening to the original purrcast. Pig sounds like a PIGeon! I liked it!